Part 1 of this article series has shown support by Western political leaders, media, and academicians for the claim that European civilization owes a “debt” to Islamic civilization, for example here, here and here. The following is a summary and evaluation of this “debt” claim. Note: “Islam” is used as a shorthand for “Islamic civilization”, similarly to the way it is used in the term “Golden Age of Islam”. “Europe” is used similarly, as denoting “European (Christian) civilization”. The historical evidence of the “debt” claim is broken down into a number of historical statements commonly used to justify the “debt” claim. An attempt is made to objectively asses the validity of the individual statements. A brief evaluation of each statement is made. Links are provided to previous Parts of this article series where there is more detail about the particular statements. In addition, a “truth value“—a number between 1.0 and 0.0— is given to all of these statements. 1.0 means “completely true”, 0.0 means “completely false”, any number in between means “partially true” or “true to some degree”. Statement: Between about 750 and 1000 A.D. a large scale translation activity was ongoing in the Middle East, with Baghdad as the center, translating many classical Greek texts into Arabic. Evaluation: There was indeed a large scale translation activity between the 8th and 10th centuries in the Muslim Middle East. Classical Greek texts were translated from Greek to Arabic (and also from Greek to Syriac to Arabic). Statement: These translations were the work of Muslim scholars. Evaluation: The statement that the Greek-to-Arabic translations were made by Muslim scholars is not correct. In fact, the translators were mostly Christians, living under Islamic rule. However, it is also clear that the translation movement was supported and financed by Muslim rulers and other members of Muslim elites. Thus, though the statement that “Muslim scholars did the translation work” is not true, it has to be acknowledged that Muslims did play an indispensable role in these translations. Part 3 gives more detail about the translators. Statement: The Greek classical knowledge was preserved by Muslims via these Greek-to-Arabic translations. This implies that without this “preservation” those texts would have been lost or destroyed. Evaluation: Had Muslims not conquered the Middle East, there would probably not have been a need to “preserve” the classic Greek works by Muslims, via the Greek-to-Arabic translations. The Middle Eastern Christian communities highly valued these works, just as the Byzantines did. They were willing and capable of preserving these books themselves. Persia, which was also conquered by Muslims in the 7th century, was not keen on destroying old books, either. Furthermore, even after the Islamic conquest of the Middle East and North Africa, many of these texts were available in the original Greek outside of Muslim ruled areas, for example in Constantinople and in the Vatican. On the other hand, for many of these classic books the original Greek version has been lost, and only the Arabic translations have survived (Dimitri Gutas: Greek Thought, Arabic culture, p. 1). Here one can indeed talk about “preservation”—though it is not clear, why and how these books were lost and whether these books would have survived in the original Greek if Muslims had not conquered the Middle East. Of course, it is impossible to know what dangers would have threatened these classic Greek works, had Muslims not conquered the Middle East. Persia would have continued to rule part of the Middle East, and Byzantium another part. Presumably they would have continued their wars with each other, so this was a potential danger for the books. But then again, wars in the Middle East didn’t disappear after the Muslim conquest: for example, there were a number of civil wars among Muslims in the Middle East during the first centuries after the Muslim conquest. Part 3 of this article series gives more detail about the “preservation” question. 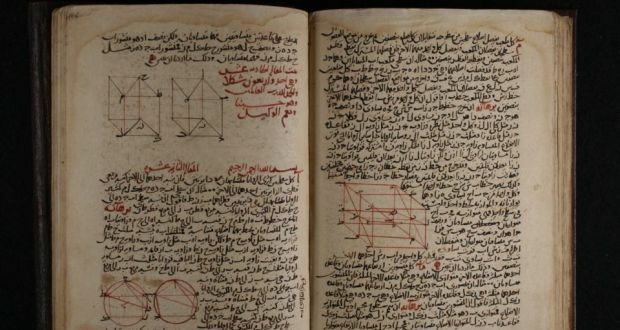 Statement: Between the 8th and 12th centuries a number of Muslim philosophers, medical doctors and scientists wrote sophisticated philosophical, medical and scientific works. Islamic civilization was the most advanced on earth at that time. Evaluation: The claim that Islamic culture was the most advanced in the world in philosophy, science and medicine between about 800 and 1200 A.D. is probably true. Statement: Islamic civilization shared generously both the Arabic translations of the Greek works and the works of Muslim scholars with European civilization. Evaluation: The idea that Islamic civilization shared its knowledge and sophistication with Europeans generously (or, in fact, in any other way) is false. During most of its history Islam was an enemy of Christian Europe which it regarded as part of the “House of War”—regions which were supposed to be conquered by Muslims in jihad, “Holy War”. The Arabic translations of Greek works got into the possession of Europeans mainly by the fact that Europeans re-conquered areas previously conquered by Muslims, in southern Italy and in particular in Spain. They found the Arabic translations of Greek works there, for example in Toledo, Spain. Statement: Latin translations of the Arabic translations of classical Greek works, made in the 12th century, allowed Europe’s scholars and in particular Europe’s new universities to gain access to classic Greek works. Had this not happened, Europe would not have had access to these important texts, and as a result its further progress would have been stifled. These translations were used extensively throughout Europe. Evaluation: The claim that the Arabic translations of Greek philosophers were translated into Latin in the second half of the 12th century is true. It is also true that these texts were then used extensively in Europe. But this was not the only way Europe’s scholars gained access to these texts. The truth is that direct translations—from Greek to Latin—of classical Greek texts were made before the Arabic-to-Latin translations already in the first half of the 12th century, and also later. Dozens of copies of these translations were made later. In general, a lot more copies of direct Greek-to-Latin translations of classic Greek works were made than Arabic-to-Latin translations, and the former were preferred by European scholars because they were of better quality. Thus, while the Arabic-to-Latin translations were used extensively, direct Greek-to-Latin translations were used even more extensively and thus were more important. Part 3 gives more detail about the direct Greek-to-Latin translations. Statement: Latin translations of the works of Muslim scholars were used extensively by European scholars. Evaluation: Latin translations of the works of Muslim scholars were indeed used extensively by European scholars. One example is Averroes, a 12th century Muslim philosopher who became so famous in Europe because of his commentaries on Aristotle that he was simply called “the Commentator”. Statement: The translated works of Muslim scholars played a decisive role in the creation of Europe’s civilization and cultural identity. Evaluation: Europe was well on its way to overcome its backwardness, long before the fruits of the Islamic civilization—in the shape of books of Muslim authors—reached it. The “Carolingian renaissance” started when Emperor Charlemagne initiated his campaign of improving education in his empire end of the 8th century. During the “Renaissance of the 12th Century” the first European universities were established. Muslim and Jewish authors did have some influence on the thinking of scholars at the school of Chartres, but the decisive influence on their thinking came from two sources: ancient Greece (in particular Plato and later Aristotle) and Christianity. The foundations of European civilization and identity were created mostly by Europe’s own effort, with very little initial influence from Islamic civilization. See Part 2 of this article series for more detail. Statement: The knowledge reaching Europe from the Islamic civilization allowed European civilization to learn—or re-learn, after its long “Dark Ages”—rationality. Evaluation: During the 13th century and later Europeans were indeed influenced by Muslim philosophers like Averroes and Avicenna, by their thinking and by their Aristotle commentaries. However, if “rationality” is defined as “using logical reasoning to determine one’s understanding of the world”, then European thinking has been remarkably “rationalistic” before the influence by these Muslim philosophers could have had an effect in Europe, at least since the “Renaissance of the 12th century” (see Part 2 of this article series for more detail about the “Renaissance of the 12th century”). The flourishing of Muslim philosophy and science was mostly over by the end of the 12th century. Muslim intellectual life and higher education focused more and more on religion. In contrast, higher education at Europe’s newly established universities allowed a niche for secular natural philosophy from the beginning. There was some backlash during the 13th century against teaching Aristotelian philosophy in Europe (in particular in Paris). However, teaching and practicing that philosophy fully recovered in the 14th century. Part 4 gives more detail about the “rationality” issue. The nine historical statements are, in themselves, just that: statements about some historical facts. How is a “debt” claim derived from these statements? The fact is that a “debt that Europe owes to Islam” does not follow directly from those statements. For this there are at least two reasons. First, the truth of those historical statements is important. Obviously, if it can be proven that the historical evidence commonly used to justify the “debt” is completely false, then there is no validity to that “debt”, whatsoever. If it can be proven that there are doubts about the historical evidence, then this will have an effect on the validity of the “debt” claim: the more doubts are raised about the historical evidence of the debt claim, the less valid is the “debt” claim. One way of coming up with an overall truth value for the historical evidence of the “debt” claim is to calculate the average of the individual TRUTH VALUES of the historical statements from the previous section. This will give us a combined TRUTH VALUE for all the nine statements. If we do this calculation, we get a combined TRUTH VALUE of 0.5. This means that the historical evidence commonly used to justify the claim of a large “debt” owed by Europe to Islam is only half true. In other words, there are significant doubts about the truth of that historical evidence. Correspondingly, there are significant problems with the validity of the “debt” claim. The second reason that a “debt that Europe owes to Islam” doesn’t follow from historical statements of facts is that the concept of “debts” owed by one civilization to another is problematic, in particular in the case of Europe and Islam. Thus, it seems that Japanese culture received an awful lot of Chinese influence. But has anyone ever heard a Japanese political leader talking about a huge “debt” owed by Japan to Chinese civilization in the fawning language used by Barack Obama and the Prince of Wales, when they talk about Islam? I don’t think anyone has. And I don’t think that anyone expects that from a Japanese leader, either. Another example, also from Japan: would anyone ever expect to see a Japanese political leader expressing feelings of endless gratitude and indebtedness towards the West, for the flourishing Japanese car industry? That industry started beginning of the 20th century and was initially based on knowledge transfer from the West to Japan—specifically transfer of knowledge about the gasoline-powered combustion engine, a European invention. I assume that nobody would ever think of expecting from a Japanese leader anything like that, either. It is accepted that, in this case, the flow of ideas and of knowledge from one culture to another is a completely normal thing. But, for some reason, European—and in general Western—politicians, media people and academicians feel that they, at every possible opportunity, need to express feelings of infinite gratitude and indebtedness for the knowledge Europe received from Islam many hundreds of years ago. Why is this so? Maybe it has to do with the guilt the West feels for its past “sins”—slavery, colonialism, etc. Maybe this is part of the reason the Western elites feel the need to debase their own culture and at the same time to elevate everybody else’s culture. Only barbarism is genuinely Swedish. All further development has come from abroad. But there is probably more to it, when it comes to Islam. The flood of gushing praise directed at Islam and the accompanying debasement of the own culture seems almost pathological, a kind of masochism. Perhaps fear plays a role here: violent actions of Islamic extremists are a common occurrence, and the overblown praise for Islam could be part of an appeasement strategy, trying to convince the Islamic community that “we are friends, please don’t hurt us”. But whatever factors are responsible for the overblown, fawning praise of Islam and the enthusiastic acceptance of the “debt” shown by many of the Western elites, one is struck by the one-sidedness of this “debt” claim: one never hears about a “debt” that Islam might owe to Europe. But, if some people insist on a “debt” that Europe owes Islam, then it surely should also be possible to talk about Islam’s “debt” to Europe, in return. Arguably, Islamic civilization received (or could have received) at least as much from European civilization as Europe received from Islam—and probably more. All the fruits of the European Renaissance, the European Scientific Revolution of the 17th century, the Industrial revolution of the 18th and 19th century and of the Technological Revolution of the 20th century were available for Islam. All of these were the results of European—and in general, Western—effort. Islam took a long time utilizing the knowledge that was on offer. For example, printing books using movable type faces was invented in Europe in the mid-15th century. Book printing started in Europe in 1455. The knowledge of book printing was readily available for anybody, including Muslims. However, printing books in the Ottoman Empire was not allowed in Arabic until the 19th century (with the exception of a few years in the mid-18th century, when a Hungarian renegade set up a printing press in Istanbul). There was little interest in European scientific advances: no attempt was made to translate works of European scientists like Galileo, Kepler or Newton in the Ottoman Empire. As Toby Huff shows in his book Intellectual Curiosity and the Scientific Revolution, the telescope was used by Galileo to investigate the Moon and the planets almost immediately after it was invented in 1608. In the Ottoman Empire and in the Muslim Mughal Empire in India telescopes were also available within a few years, but they were not used for astronomical research until the 19th century. European knowledge was thus available for Islam. It was slow making use of this knowledge, but, ultimately, in the 19th century, Islamic countries started to use advanced European scientific knowledge and technology. This process sped up in the 20th century and nowadays the economies of Islamic countries are heavily based on advances in science and technology that came from the West. Thus, if the concept of “debt” owed by one culture to another is to be used, Islam surely owes a large debt to Europe—and to Western civilization in general. Possibly, the “debt” owed by Europe to Islam would be canceled out by the “debt” Islam owes to Europe. Furthermore, during most of its history, Islamic civilization was, as mentioned above, an enemy of Europe—mostly by its own choice. Untold suffering and material damage was inflicted on European populations wherever Islamic jihad reached. Large parts of Europe were conquered, in Spain, Southern France, Southern Italy, the Balkans, Middle Europe up to Vienna. The conquered populations—Christians and Jews—lived a precarious existence as dhimmis, second class citizens. Periods of prosperity among them could easily turn into pogroms, persecutions, forced conversions and ethnic cleansing, as the history of al-Andalus (Muslim Spain) demonstrates. Other European territories were regularly raided: up to a million Europeans were captured as slaves by North African Muslims between the 16th and 18th century during raids on European coastal areas and shipping in the Mediterranean and in the Atlantic. Using the language of “debt”, the booty that Islam amassed and the suffering it has caused by conquering and raiding Europe over more than 1000 years, would surely have paid for another part of the “debt” Europe owed to Islam. If one assumes that “debts” owed by Europe to Islam and vice versa exist, then it should be possible to offset such “debts” against each other. Of course, it is totally unclear how to determine a balance between such “debts”. In particular, how to offset booty, slave taking, and general suffering against a “debt” of knowledge transfer? This shows the absurdity of the whole idea of a “debt” owed by Europe to Islam. In conclusion: one should stop talking about the “debt” Europe owes to Islam, first because the historical basis of such a debt is full of half-truths, and second because the idea of “debts” in this context becomes absurd as soon as one tries to offset the “debts” the two cultures owe to each other. Instead, one should show recognition of and respect for the large scale translation effort in the Muslim Middle East during the Middle Ages. One should also show recognition of and respect for the work of Muslim philosophers and scientists. Furthermore, one should recognize that Europe did profit from these achievements. All this can be done while recognizing that the main driving force behind the creation of Europe’s identity was Europe itself, with Greek and Roman civilization plus Christianity as decisive influences. The idea of “truth values” between 1.0 and 0.0 is used, for example, in fuzzy logic. This is in contrast to Boolean logic, which uses only values of “true” or “false” (or 1.0 and 0.0). One of the important objections to the method used could be that already the choice of the historical statements to assess the evidence of the “debt” claim is subjective. Thus, it is easy to distort the end result, if one chooses statements about which one knows at the beginning that they are probably doubtful or not true. This is true: a subjective element will always remain. The defense against this objection is that all the nine historical statements (evidence) investigated were voiced by “debt” advocates. Certainly, a more thorough and more systematic research could turn up other evidence which then could be formulated and whose truth value could be assessed. Another objection to the method could be that the individual “truth values” are subjective and that thus they are prone to distortions by beliefs of the person assigning the values. This is also true. But, already the fact that one has to assign a numerical value, instead of using a vague language, can help to make the process more objective. The subjectivity could also be decreased if one is forced to justify the “truth values” in more detail. In any case, this is at least an attempt to try to investigate the bases of the assumed “debt” objectively which is a lot more than what President Obama and the Prince of Wales (and many others) do—here and here—when they talk about that “debt”. One could also object that the individual historical claims are not equally important for the “debt” to exist. For example, the statement that Muslims “shared their knowledge generously” is maybe less important from the perspective of the “debt” than the statement that “the knowledge received from Muslims played a decisive role in creating European identity”. In order to incorporate the importance of the statements, the “truth value” of the historical statements could be combined with an “importance value” (also between 1.0 and 0.0) by multiplying the two values. For example, the “truth value” of the statement that “Muslims did the translations from Greek to Arabic” is 0.6. This is quite a high value, but the importance of this fact for the “debt” claim would be quite low, having, for example, an “importance value” of 0.1. The product of these values would be 0.6*0.1 = 0.06. In contrast, the statement that “the translated works of Muslim scholars played a decisive role in the creation of Europe’s civilization and cultural identity” has a “truth value” of 0.1, but it would have a high “importance value”, for example 1.0. Thus, the product would be 0.1*1.0 = 0.1. A weighted average of these products would then be calculated and this value would be used to assess the overall validity of the historical basis of the “debt” claim. Importance values were not used, for two reasons: first, they are arguably even more subjective than the “truth values”. Second, they would have made this article even more complex than it already is. Had they been used by calculating an overall “relevance” value, the historical basis of the “debt” claim would probably have been further weakened.